Today, women’s rights, gender equality and reproductive rights are priorities in the agenda of the international community. Yet, this has not always been the case. Women always fought for their rights and many continue to do so as they remain discriminated and subjugated to their male counterparts in several parts of the world. For instance, women and children are the most vulnerable segments of society in conflict-affected areas; women continue to be discriminated in the workplace in many Western countries; and violence against women continues to be a major concern all over the world. Faced with discrimination and oppression, women created resistance movements to achieve gender equality and to promote equal and inclusive societies. Within the framework of the struggle for women’s rights, we can find different movements and social frameworks such as feminism and womanism. Changes in the patriarchal society. (Sometimes) they did not have autonomy over their own bodies. The patriarchal model was spread all over the world and backlashes of the “old mentality” are still visible today. In fact, in some parts of European and Western countries, women continue to face discriminations whereas some Middle Eastern and African countries remain deeply patriarchal. For instance, in Saudi Arabia women cannot drive cars and cannot travel outside the country without the permission (or the presence, in most cases) of a “male guardian” – a male member of their family. Although feminism had a strong impact on many societies, the movement was mainly confined to middle and upper class white women. As such, feminists were often accused of ignoring the needs and the plight of black women – whose struggle was caused by racism, sexism and classism. “1. From womanish. (Opp. of “girlish,” i.e. frivolous, irresponsible, not serious.) A black feminist or feminist of color. From the black folk expression of mothers to female children, “you acting womanish,” i.e., like a woman. Usually referring to outrageous, audacious, courageous or willful behavior. Wanting to know more and in greater depth than is considered “good” for one. Interested in grown up doings. Acting grown up. Being grown up. Interchangeable with another black folk expression: “You trying to be grown.” Responsible. In charge. Serious. Womanism is a social framework that separates itself from feminism, centers black women, celebrates womanhood and aims at achieving and maintaining an inclusive culture in all societies. Womanism is not an issue-based movement – as issues constantly vary and change – but it is equally concerned about all forms of oppression. In all societies, black women earn less than everyone else does; they are often marginalized and discriminated, and crimes (abuses, violence, killings, etc.) against black women are underreported and forgotten. Sadly, feminist movements often failed to address the plight of black women and to involve black and Latina women in their protests. In light of the elitist nature of feminism, Diana L. Hayes, Professor of Systematic Theology in the Department of Theology at Georgetown – specialized in Womanist Theology and Black Theology, argued that “The feminist movement, both in society and within the Christian churches, has been one of white women—usually educated, middle-class women—with the freedom and privilege to become militant without fearing consequences as harsh as a woman of color or lower-class white woman would be subject to.” In other words, the fight of feminist movements is almost completely irrelevant to the situation of black women. Feminism is female-centered and issue-based whereas womanism centers black women and is equally concerned about all forms of oppression. 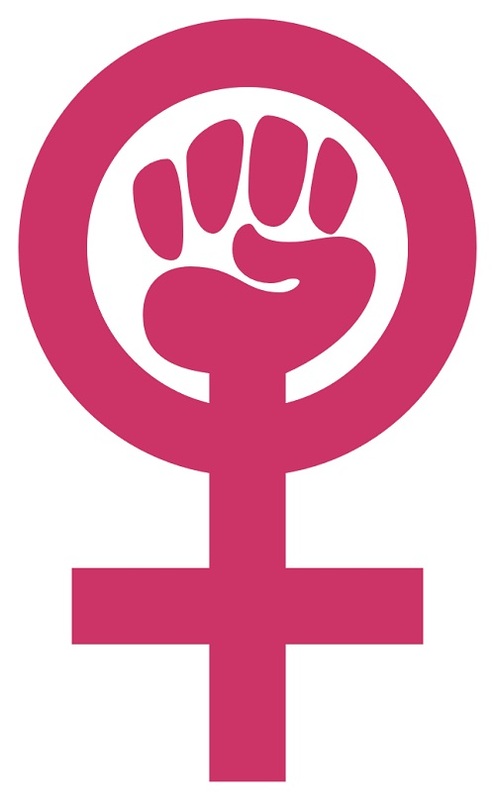 However, despite many differences between the two movements, feminism and womanism have some features in common. In fact, in both cases women face some kind of oppression and deprivation of rights, and in both cases they fight for their freedom and for the recognition of their role in the society. Regardless of the social framework, women have always sought their identity and their self-determination in male-dominated societies. Yet, feminists began their struggle from an already privileged position if compared to the starting point of black women. Today, the differences between feminism and womanism are less evident as the “white middle-class” is more conscious of the difficulties faced by black women. In fact, women’s rights have become an intersectional issue in the agenda of the international community. Women and girls always had to fight – and continue to do so – to affirm their identity and acquire their fundamental and inalienable rights in male-dominated societies. In the United States – and in most Western countries – resistance movements against the patriarchal system (i.e. feminism) began to spread in the mid-20th century, and had a big impact on societies. Feminist movements obtained suffrage and reproductive rights, and opened the way for women to enter the job market and to own properties. However, many black and Latino (as well as some white) women viewed feminism as a movement of privileged middle-class white women that completely ignored the plight of black people. 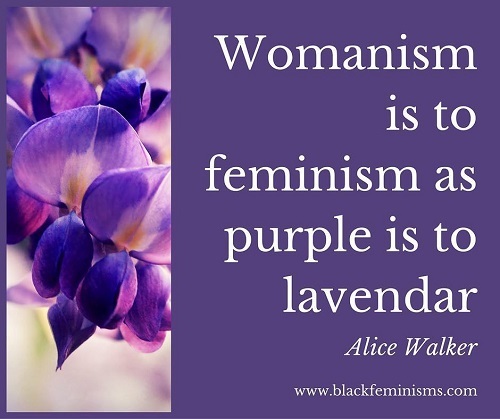 Therefore, in 1983, writer Alice Walker defined the quest for rights and equality of black women as “womanism.” Unlike feminism, womanism aims at achieving gender reconciliation, centers black women and does not view men as possible enemies. Womanism stems from the tridimensional oppression faced by black women who are confronted with sexism, racism and classism. Today, feminists and womanists have found their common ground and the fight for women’s rights has become more inclusive. All women and all girls are entitled to the same rights, regardless of their age, their origins and the color of their skin. Giulia Squadrin. "Difference between Feminism and Womanism." DifferenceBetween.net. August 14, 2017 < http://www.differencebetween.net/miscellaneous/difference-between-feminism-and-womanism/ >.